I whipped these up over the weekend to add a little festiveness to the living room. 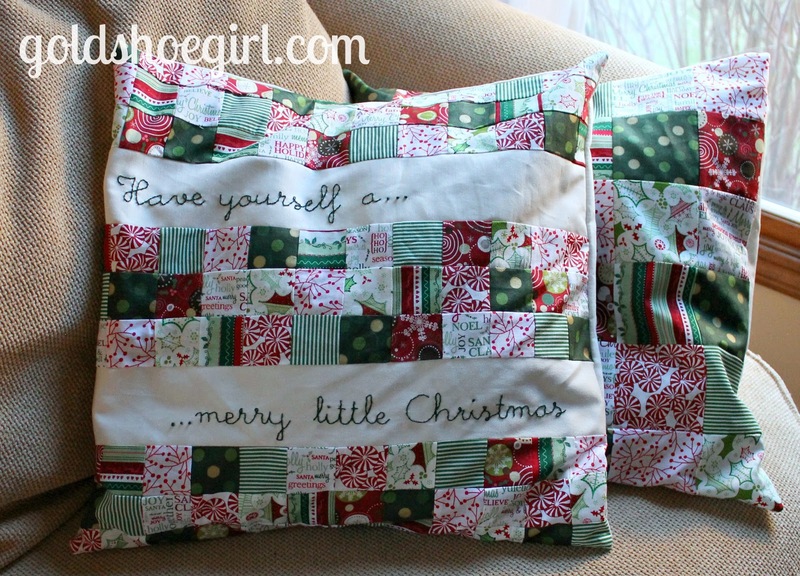 Just super simple patchwork pillow covers much like the fall ones I did here and here. This one is just 3.5 inch squares pieced together six across and six down. The back is an off white canvas type fabric finished in an envelope close. All the fabrics were bought at Joanns. I was surprised to find that I really liked it even on this blue chair. Pairing it with the sweater pillow makes that corner of the living room seem nice and Christmas cozy. 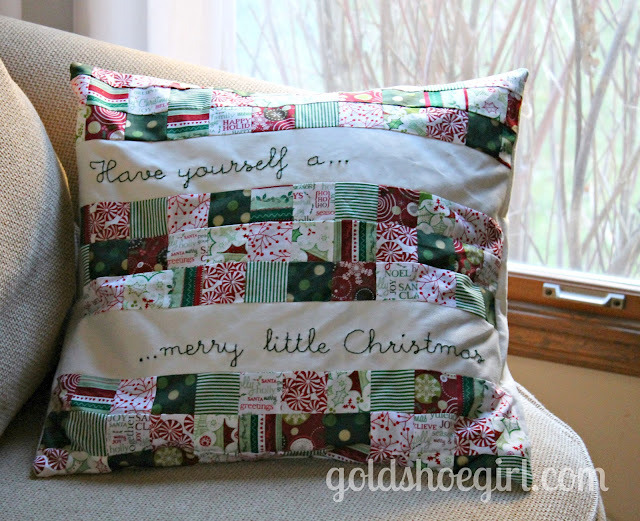 This one with the embroidery was inspired by Amy's pillow over at nanaCompany. She makes the cutest cleverest stuff. My version has more traditional colors and I used Little Days font for my message. 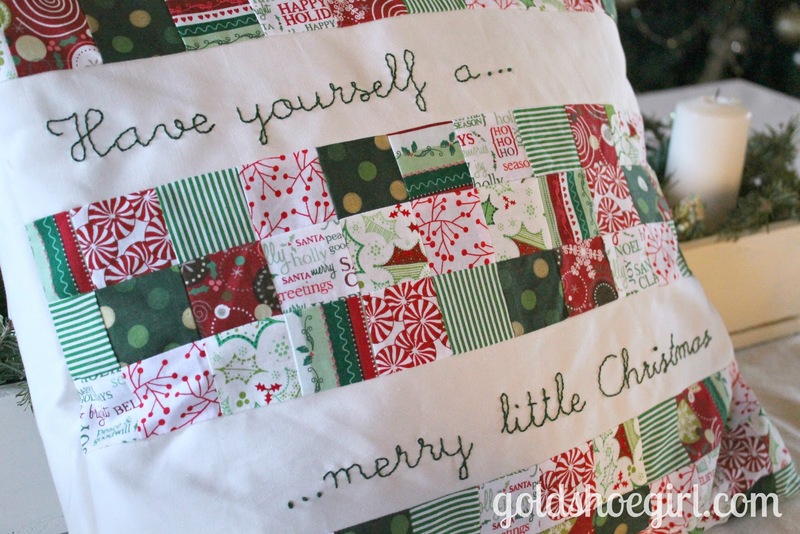 I used 2.5 inch squares for the patchwork and it took a lot of them even with the embroidery panels in between the rows. Instead of buying new inserts for these covers I have just been slipping them right over the throw pillows that came with the couches. 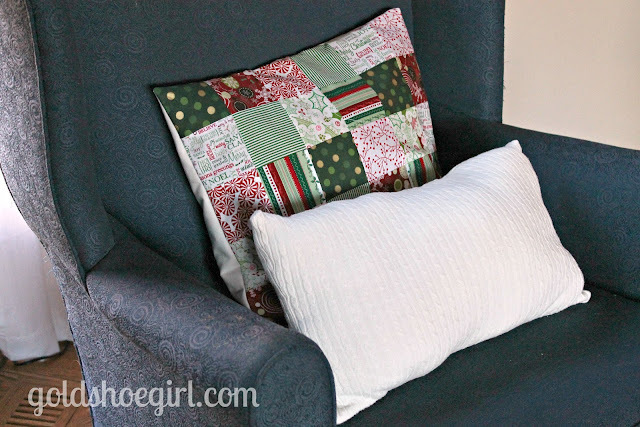 It saves me some cash and then holiday pillows are not clashing with the everyday pillows. I had been planning on making a few more pillow covers but now my son has a sinus infection and an incessant cough which has been keeping us both up the past two nights. So instead I think I will be using the new pillows for a quick little nap:). These are beautiful. 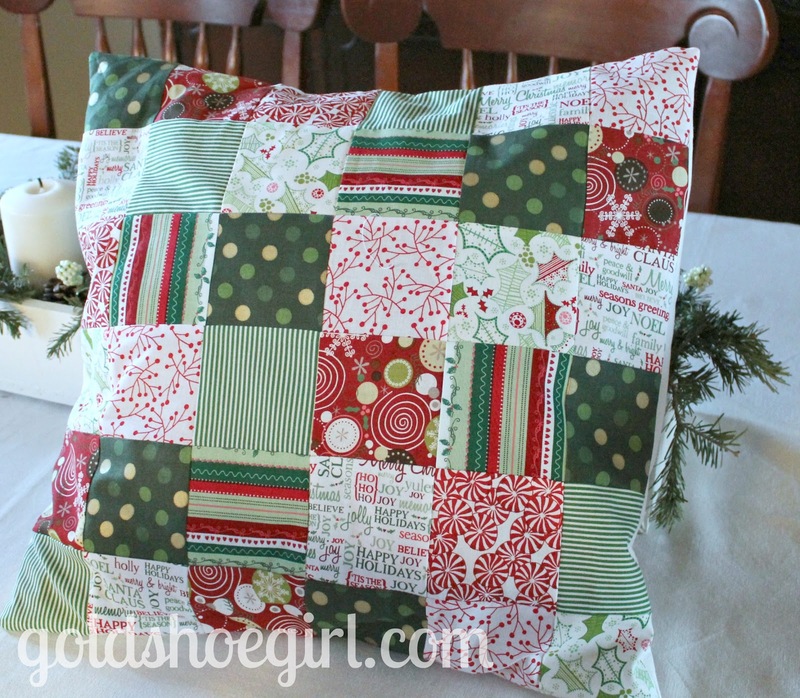 I know Amy's pillows well and think yours are just fantastic in the traditional colours.